I read the Hornblower series as a young man, and now I am exploring them again forty years later. I am still impressed by their technical accuracy and strength of character development. In "Lieutenant Hornblower" there is a memorable sequence in which Hornblower is using captured enemy equipment to heat iron cannon balls. He overdoes it, and some of the balls melt. Unlike so many fake macho heroes in adventure novels, he admits that he made a stupid mistake. In other words, this hero is also sometimes a klutz like the rest of us. I also can point out that this book refutes a standard charge that unlike O'Brien, Forester has no sense of humor. The ruminations of the crew about their paranoid, delusional captain are a priceless example of Forester's subtle humor. 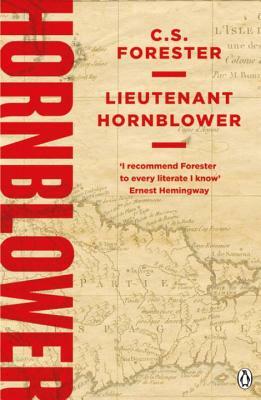 This novel also depicts the original meeting of Hornblower and his trusted friend Bush, and indeed it is told from Bush's point of view,although still in the third person. And for the first and last time, Hornblower is subordinate to Bush. He is respectful, but obviously the smarter man who will move up the chain of command more rapidly. The book also has a romantic element, as here Hornblower meets Maria for the first time. A rousing adventure, well-written and a worthy "prequel" to the tales of Captain Hornblower! I love these Hornblower novels. First time thru the series and trying to read them in chronological order. Only wish I had read them years ago.